Managing Editor of the Journal Inquirer Chris Powell notes in a recent column that Connecticut’s constitutional cap on spending has over the years been easily surmounted by governors and legislators determined to spend money. And indeed, spending has spiraled in the state. Governor William O’Neill's last pre-income tax budget was about $7.5 billion. Connecticut’s current biennial budget is hovering around $40 billion, and the Democratic dominated General Assembly has not yet finished tinkering with it. By broadening the sales tax while reducing the sales tax rate and removing from under the spending cap pension payments for state workers, progressive magicians in the General Assembly are now in the process of transmuting a multi- million dollar deficit into a multi-million dollar surplus. 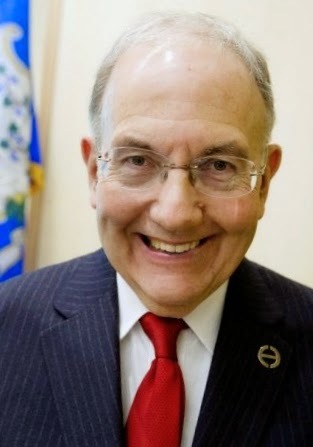 Spending in Connecticut has tripled within the space of four governors, one of whom was independent Governor Lowell Weicker, the father of Connecticut’s income tax. A constitution is supposed to serve as a restraint on government and -- as Sam Adams and other lucid revolutionary heroes thought – the taxing power of the state. During the high tide of despotic government, when a king or oligarch wished to spend freely from the treasury without, however, raising taxes that might disturb merchants and farmers, he resorted to clipping coins, hoping that the people would not notice the depreciation of the currency. The dodge worked for a while, but it was foolproof only for fools. "We cannot continue to put the Band-Aid on the problem and hope when we go to bed at night that next year will be any different. Next year is not different unless we make it different this year." So said House Minority Leader Themis Klarides as state Republicans launched their "Roadmap to Prosperity" alternative budget. 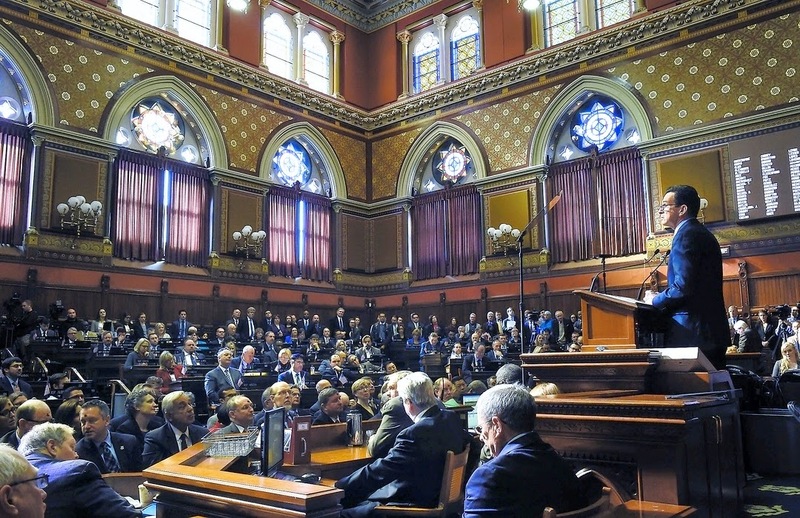 Immediate reactions from leading Democrats in Connecticut’s General Assembly have not been obdurately dismissive. As a general rule, Democrats prefer long term spending measures and short term spending cuts, the shorter the better. Republicans prefer – or should prefer – exactly the opposite: long terms spending cuts and short term revenue increases, only when they are necessary. The Republican budget is a vast improvement over Governor Dannel Malloy’s defective budget, a step in the right (pun intended) direction. As the Middle East and President Barack Obama’s foreign policy of non-interference in the region dramatically disintegrate, President of Russia Vladimir Putin is gleefully pulling Uncle Sam by the beard. 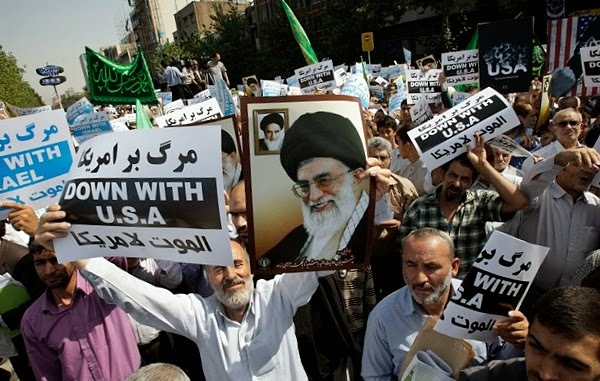 Most recently, Mr. Putin has supplied Iran, a traditional enemy of the United States, with defense missiles that grossly interfere with the non-nuclear weapons pact presently being negotiated between Mr. Obama and Iran. It should be understood that Iran is a theological oligarchy and not a democracy such as Israel. For all practical purposes, “Iran” is the country’s Supreme Leader, Ayatollah Seyyed Ali Khamenei. 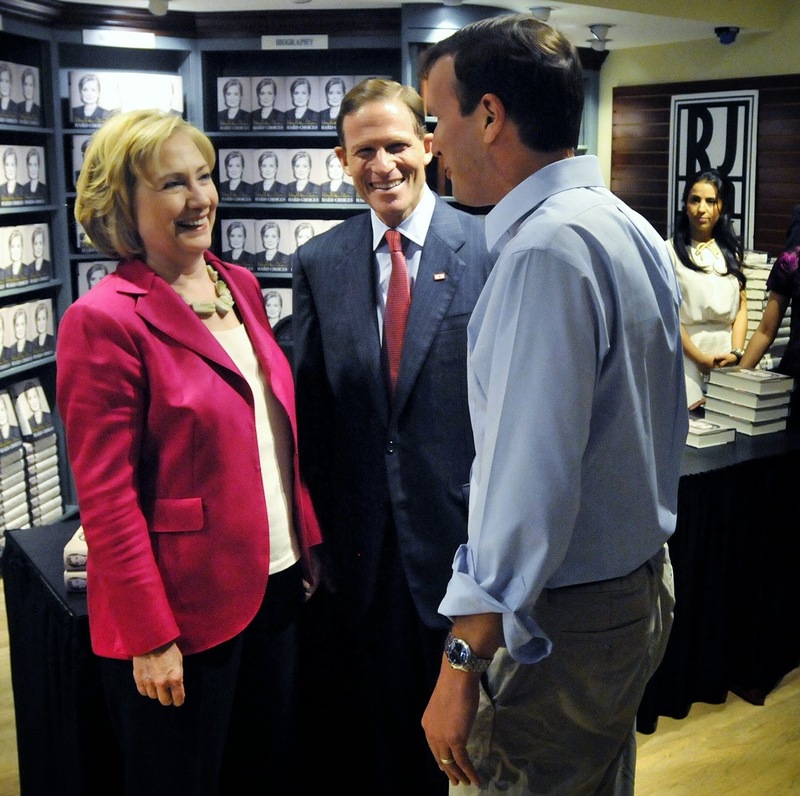 “Blumenthal gushed Friday over Clinton’s political stock, ahead of the former secretary of state’s announcement Sunday that she is running for president in 2016. If the Devil really is in the details – and He is – it becomes necessary for governing bodies who want to put one over on the general public to hide Him effectively from small “d” democrats. That is why ostensibly democratic governments require a veil of secrecy – to hide the Devil. Democracies do this most effectively by burying the Devil in mountains of misleading data. The general public, busy with other things, rarely notices the horned and hoofed demon until he comes knocking at their own doors. 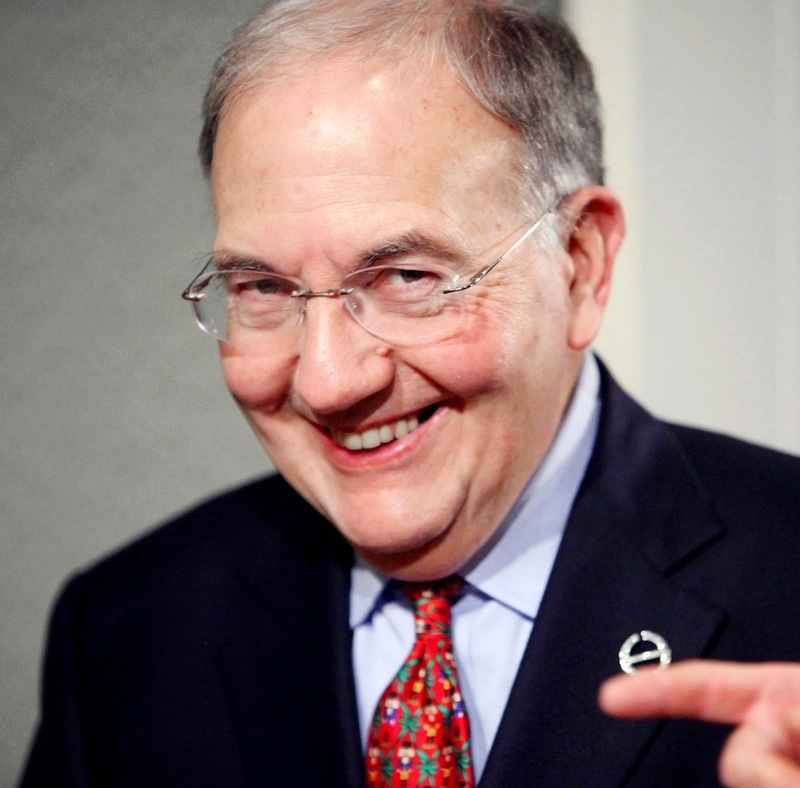 Senate President Martin Looney’s new “tax reform” provides a case in point. State Representative Gail Lavielle has a way of speaking plainly to her constituents on important issues that even a tax hungry legislator might appreciate. 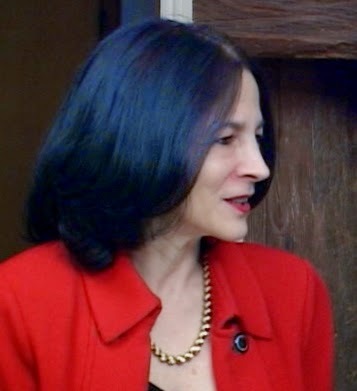 In a letter to the editor of the Westport Daily Voice, Mrs. Lavielle acknowledges that most people in Connecticut think their property taxes are too high, and she then proceeds to lash “SB1, An Act Concerning Tax Fairness and Economic Development.” Just as House Bill 6815 since modified after scrutiny by Mrs. Lavielle, was a land grab, so SB1 is a tax grab. If the Malloy administration seems to be pretentious, it is because Governor Dannel Malloy is fast becoming Connecticut’s pretender in chief. 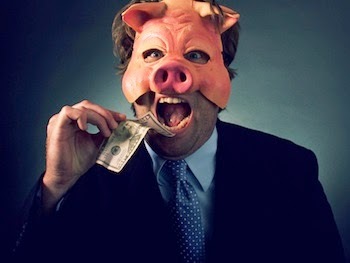 Consider budget rescission. A rescission is a post-budget adjustment made by the governor without legislative approval. If the rescission is small enough, the governor need not refer his budget adjustments to the General Assembly, a politically embarrassing and time-consuming business. Any referral to the General Assembly would be a tacit admission that the budget figures previously presented and approved were out of balance, and any budget reconfiguration by the General Assembly would occasion multiple media controversies that easily can be avoided through the rescissionary process.